Flood waters yesterday entered a few houses and left crossings under water at Transmitter Road in Malolo, Nadi. Area advisory councillor and Crime committee President, Lakshman said that the area consists of 280 households. “Floodwaters have started to invade a few houses and crossings were flooded due to heavy rain,” he said. 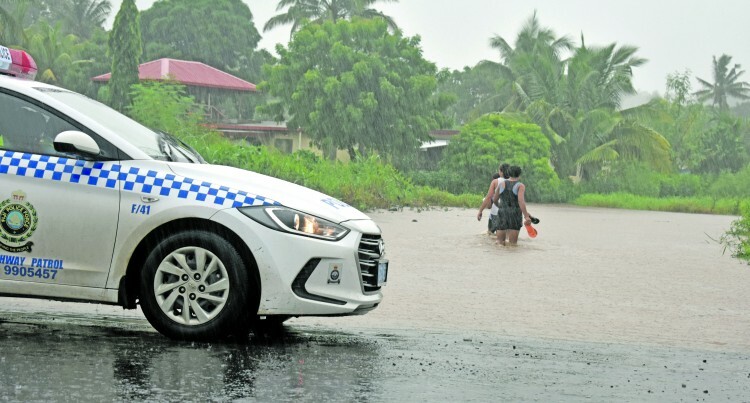 When the Fiji Sun visited the area people were stuck in vehicles while others were crossing flood waters reaching knee level. “It is during times like this that people are restricted from moving around, this is usually the problem from the previous years. He said these floodwaters would bring heavy debris which could cause injuries if people continue to move around. “Now I am just on standby to see if anyone needs help during this time especially for those that need to go to the hospital,” Mr Lakshman said. “Drainage problems is one of the major hindrances in this area, blocked drains will be seen with piles of huge debris stuck in them,” Mr Lakshman said.